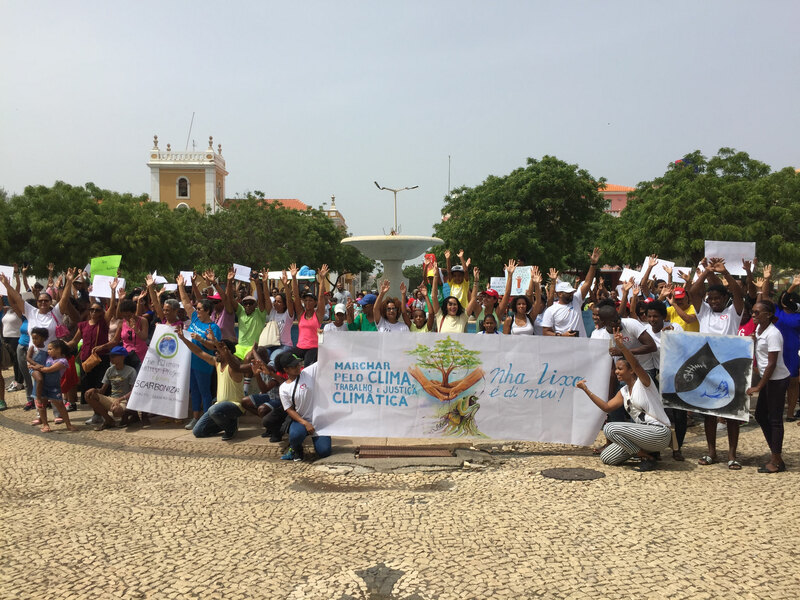 On the 8th of September we joined the civil movement 350 Cabo Verde and more that 90 countries around the world to march and raise awareness about the changing climate, impacts, solutions, justice. 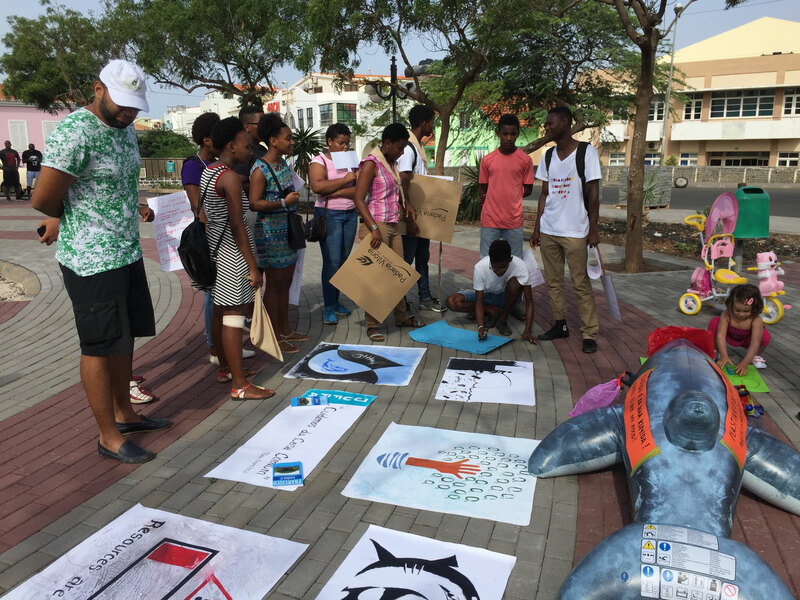 For Cabo Verde we chose the call "Nha lixu e dimeu" which means - I am responsible for my waste. 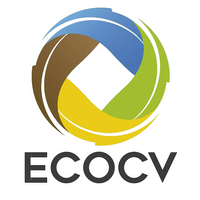 It is a growing problem in our country, and it is time that we all ,personally, take responsibility for our use and choices. 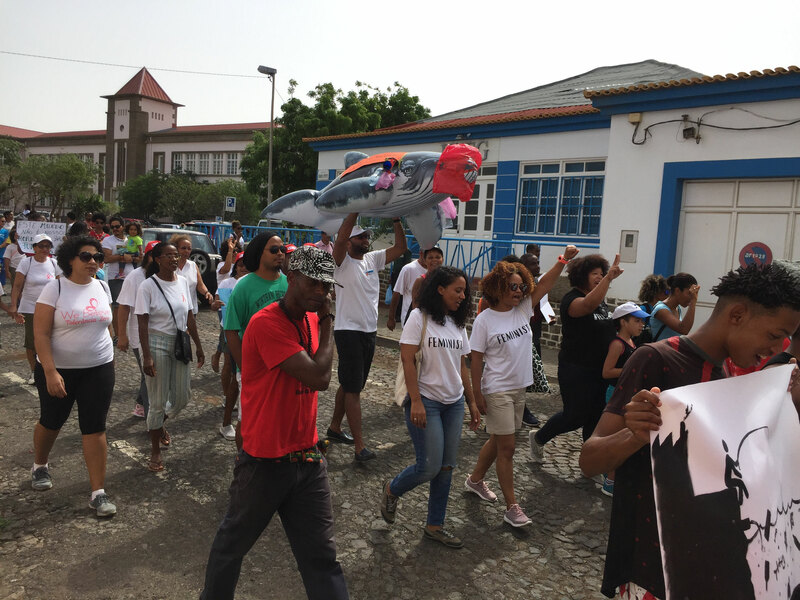 Tens of citizens of the capital Praia and from other islands joined in as we marched along the main pedestrian street of the city. 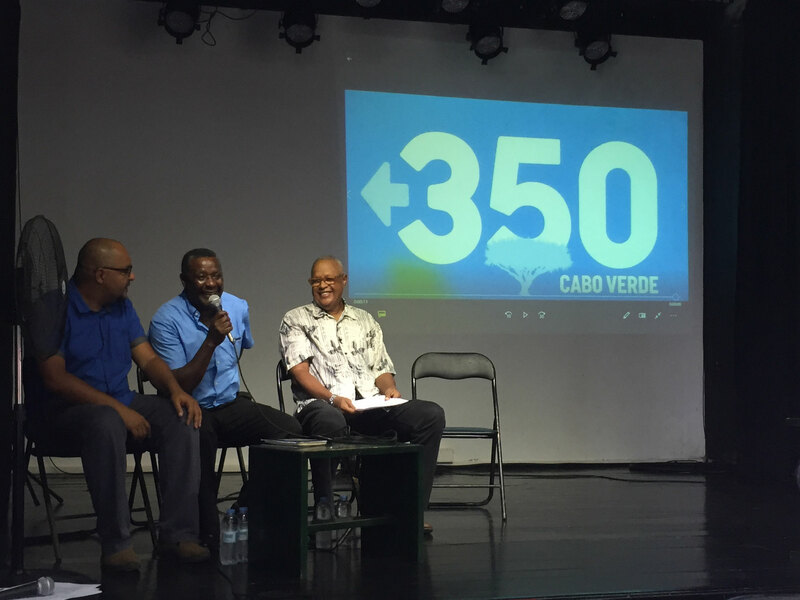 The even then moved to the Cultural Centre where we had a series of presentation on the effects of climate change in marine and terrestrial ecosystems, historical perspective and acceleration of anthropogenic impacts since the start of the 20th century. 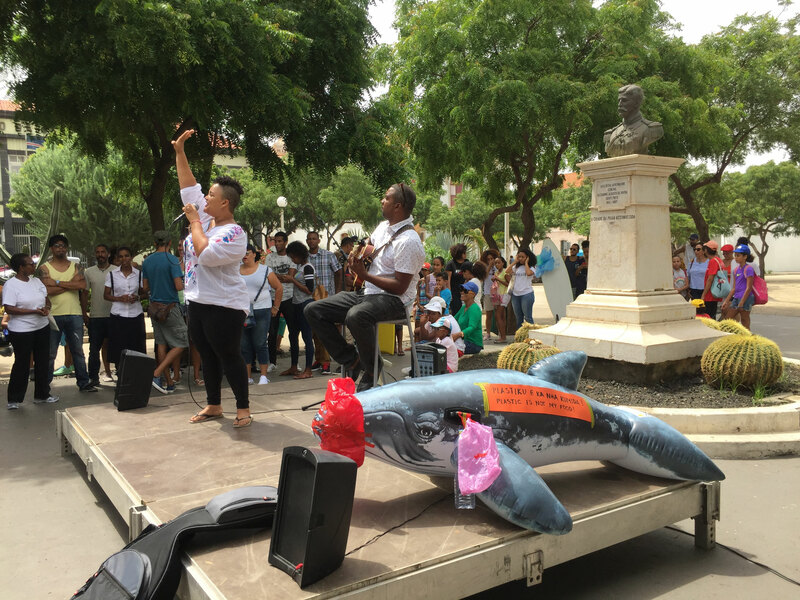 We continue supporting the movement 350 Cabo Verde, as the number of projects are being planned to strengthen our society.